New Season – New Toys! Seems like every season requires replacement of some equipment from the various rods, reels and clothing that seems to invade my life during the fishing season. 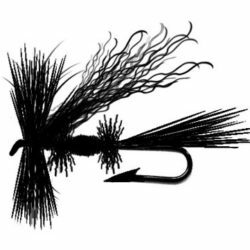 This year the needed items were a new pair of wading boots, a new reel for my Sage XP 590-4 as well as some new lines for several spools and other items of technical clothing. After reading reports on rubber soled boots from the likes of Tom Chandler at the Trout Underground, I decided that not only was I going to give the rubber soles a shot but I was going to stud the heck out the boots to gain every advantage I could. Goodbye felt! Gonna’ miss ya! Hello Rubber! Hoping you and I become fast friends! 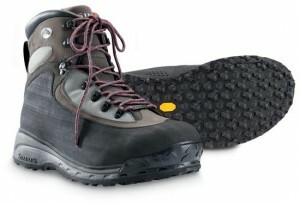 I choose the Simms Rivershed boot with the new CleanStream rubber sole. The decision came down to one of basic economics. Not the economics of cash – that’s called accounting, but the economics of supply and demand. It seems that the fly shops around me, save for the Cabela’s store and the Orvis shop, are all big on Simms brand waders and boots so that was the supply side of the equation. The demand side came when they “demanded” my hard earned dollars at the till. I have to thank my friend Victor Babbitt at Tahoe Fly Fishing Outfitters for dialing me in on the boots. My...what knobby tread you have! Victor explained how to best pattern the combo of Hardbite studs and Hardbite stars, even going so far as to draw a diagram. Of course, I leave the written diagram at the shop. So I just took a look at the bottom of the sole and asked myself “where the heck do these things go?” Not having the answer and not referring to my trusty web browser, I got the screw shooter and made up my own pattern. Only after mounting all the studs did I take a peek at the Simms website for the recommended pattern. Noting some very different ideas on placement, I have decided that claiming my pattern as either “brilliant” or “brilliantly haphazzard” can wait until after a few excursions. Worst case scenario is that my pattern causes me to crash and burn and post-hospital stay I can redo the studs to Simms recommendations. Here is a shot of my pattern (the left) and Simms recommended (the right) for your amusement. 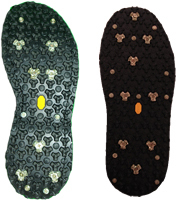 On the left we have Brian's stud pattern of pain and on the right we have the RECOMMENDED pattern. The reel was a much easier decision. 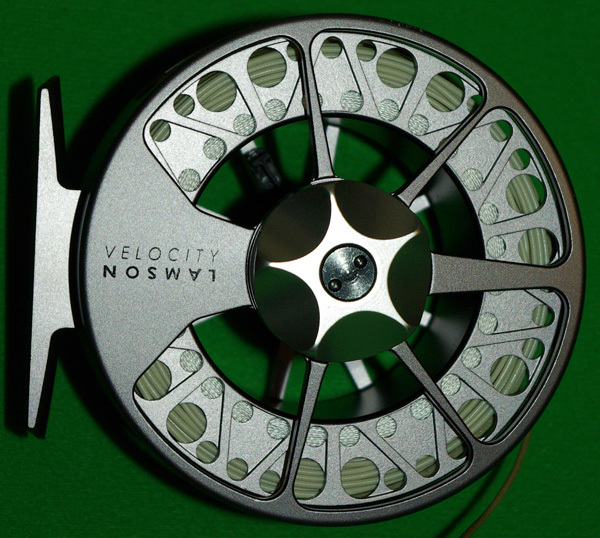 I had purchased my wife Erin a Lamsom Velocity the previous year and we both loved it. At her request…ok…demand, I grabbed my own. The funny thing is that this reel is replacing my second fly reel ever purchased, a Redington RS, that went the distance. Only last season did it start to do funky things like come apart when you had 3 pound fish on the end of the line, so it was time to retire the reel. I grabbed a Scientific Anglers Textured Series GPX WF line to go with it and should be in business. The reel gets its first test on Monday. 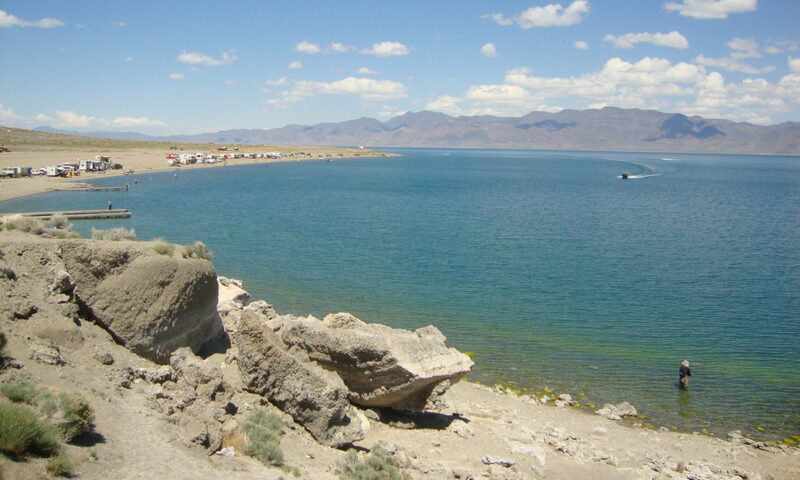 Ready for a hard life of sand, water and hard knocks on rocks? I plan on reporting back on the performance of both products as the season progresses. Now I am off to tie up some more flies for the upcoming trip. Seems like I am always at the vice last minute trying to fill the boxes with patterns that are missing that should have been tied during the slack part of the season in the winter. Oh well.